Aspiring makeup artists will be excited to learn that Health and Style Institute has launched a new makeup artistry program in Greensboro, North Carolina. Though the program is new to Greensboro, Heath and Style Institute has experience in makeup artistry education in Kennesaw and Atlanta, Georgia. 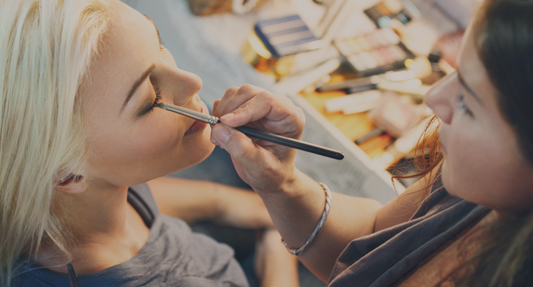 Discover why so many hold Health and Style Institute’s makeup artistry program in high regard. These disciplines arm graduates not only with artistic skill, but the scientific knowledge and business acumen necessary to become professionals in their field. Makeup artists work with their hands each and every day, so Health and Style Institute believes makeup artistry students should do the same. Students in Health and Style Institute’s makeup artistry program practice the techniques they learn through lectures, demonstrations, and field trips on mannequins, classmates, and live clients. This allows students to begin curating their portfolios while they’re still in school, and in turn, experience greater success in the professional world after graduation. The comprehensive curriculum Heath and Style offers prepares its makeup artistry graduates for a wide variety of careers. Professional makeup artists can choose to specialize in everything from weddings to TV, film, fashion shows, printed advertisements, editorials, theatre, retail, and even makeup for celebrities. In addition, every student at Health and Style Institute is given a makeup artistry kit that can help them begin their career without a large up-front investment. If you think you might like to become a makeup artist, consider reaching out to Health and Style Institute at 1-844-947-8953. The advisors at Health and Style Institute would be happy to provide you with more detail about the school’s program, arrange a campus visit, or simply discuss the makeup artistry profession. Fall classes are filling up, so it is best to reach out as soon as possible.